During some of the most turbulent months the government has seen, the IFoA has still been making an impact in Parliament. This time showcasing our research on the Sustainable Development Goals (SDGs) and climate change. In November, a debate was held to discuss the progress made across government departments in integrating the Universal Sustainable Developments Goals into domestic policy in preparation for the United Kingdom’s Voluntary National Review presentation at the United Nations in September 2019. Claire Jones, Chair of the IFoA’s Resource and Environment Research and CPD Committee, reports on a recent sessional meeting. Read more about Implications of climate change: a challenge or an opportunity? The New York state attorney general is suing ExxonMobil in a landmark case about climate change disclosures. The suit claims that the company made “materially false and misleading” statements to its investors about the risks posed to its business by climate change regulations. The case is especially significant because it’s not about the physical risks of climate change, but is focused on the transition risks, and because it reinforces the likelihood of climate-related liability risks. The Relevance to Resource and Environment Issues for Pensions Actuaries working party has recently published its report on allowing for climate change when setting financial assumptions. The on-line actuarial journal Risks will produce a special edition on this subject, and is currently soliciting articles. 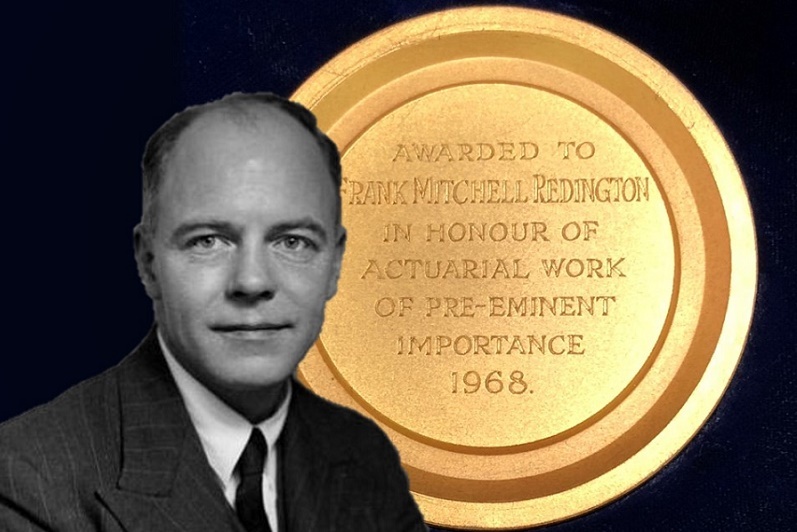 The IFoA believes Frank Redington's remarkable achievements make him a worthy nominee to feature on the UK's new £50 note. The Financial Reporting Council, who are responsible for setting standards on technical actuarial work in the UK, are seeking views on their Actuarial Statement of Recommended Practice 1: Financial Analysis of Social Security Programmes. Technical actuarial work related to Social Security Pensions was identified by the FRC as representing a high level of risk to the public interest. IFRS 17 is now expected to be implemented in 2022, following the IASB’s recent vote to propose a one-year deferral of the mandatory effective date. This past year has seen firms establish IFRS 17 programmes to investigate the technical impact and the impact on systems and processes. The most significant change to insurance accounting in recent times has been discussed for at least twenty years but there is now a clear path to implementation of the rules across many countries globally. The UK's cyber insurance market is very immature and untested, according to new research, with most of the policies available containing significant common flaws. Brexit fears did not stop the UK attracting $7.7bn (£6bn) of venture capital (VC) investment last year, almost a third of the record $24.4bn raised in Europe as a whole. The European Insurance and Occupational Pensions Authority's (EIOPA) recent sustainability proposals could have far-reaching implications for insurers, Willis Towers Watson (WLTW) has warned. Rising geopolitical tension is the most urgent risk facing the world this year, a survey of nearly 1,000 business leaders, politicians and academics has found. UK motorists are paying 6% less for car insurance today than they were this time last year, data from Confused.com and Willis Towers Watson (WLTW) reveals. The last three months of 2018 saw total business volumes in the UK's financial services sector fall for the first time since September 2013, a survey has found. Less than a third of wealth managers in the UK agree their clients are growing more concerned by data breaches and cyber crime, a new survey has found. There was $160bn (£125bn) worth of economic damage caused by natural disasters across the world last year, just half of which was covered by insurance. Blockchain and cryptocurrency developers received record levels of investment in the UK last year, with the country's FinTech sector continuing to be among the most attractive in the world.